Manchester Evening News editor Rob Irvine has given an in-depth account of how his paper reacted to the horrific events of May 22nd 2017, when a suicide bomber killed 22 people as they were leaving an Ariana Grande concert at the Manchester Arena. The Trinity Mirror title has been widely praised for its coverage of the atrocity as well as a fundraising campaign that has so far raised more than £2m for the victims' families. 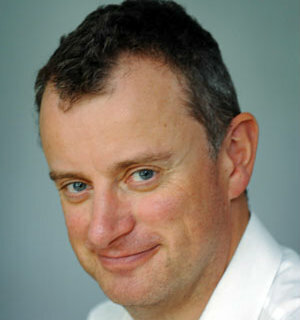 Stockport-born Irvine, who previously edited the North Wales Daily Post, replaced Maria McGeoghan at the MEN in 2012. And he has now written in detail - in an article for Press Gazette - about how his newsroom coped with its biggest story for decades. "The first call came from Dave Lafferty, our assistant editor who was night editing. There was a lot of talk on social media about a loud bang at or near the Manchester Arena and people attending an Ariana Grande concert were getting out in a big hurry," said Irvine. "We put out the first tweets to say there were reports of a bang, that police were on the scene, that there may have been an explosion. As I headed to the office, I could see a stream of ambulances racing towards the Arena. "We got a live blog going, set up a later off-stone time for the first edition, and rounded up a crew of extra reporters, photographers, plus digital publishers, social media experts and videographers. "We soon had people reporting on Facebook Live from near the Arena as colleagues trawled social media for video or photos from inside or around the venue." He recalled the terrible moment when the full enormity of the story became clear. "As the deadline approached, and with the live blog being updated every few moments, everyone was getting on with their work. Then came a moment that stopped us in our tracks. Lee Swettenham, deputy digital development editor, was monitoring police updates. He looked up from his screen and turned to us. "The police also confirmed they were treating it as suspected terrorism. "And so we knew it. The worst terror attack in Britain since the July bombings of 2005 had taken place in our city, at a venue we all know and go to often." He gave an insight into how the newsroom kept up to speed with the unfolding tragedy. "We worked through the night, 28 of us. Huge numbers of people from Greater Manchester but also from around the UK and across the globe were coming to the site for the latest news. "We had Sky News on the big screen and BBC News also on. We set up every search imaginable on Tweetdeck to find information. We talked to our colleagues at the Mirror to share information. And we kept a close eye on the other big news sites in the UK and the States. "We realised that many people had gone to bed not knowing what had happened. They would wake up to learn that our city had suffered the worst ever terrorist attack in the North of England."